The Alexander County Partnership for Children received the Shape NC: Healthy Starts for Young Children grant from the Blue Cross and Blue Shield of North Carolina (BCBSNC) Foundation in August 2011. The purpose of the Shape NC grant is to address childhood obesity and to promote health, fitness, and nutrition in our young children. According to the North Carolina Nutrition and Physical Activity Surveillance System, currently 17.5% of Alexander County children ages 2 to 4 are overweight and 16.2% are obese. The 123 Go Play AC campaign works to combat this problem and is funded by the Shape NC grant. The campaign will help educate Alexander County children and families about the importance of physical activity and healthy eating from an early age and will also help promote a lifetime of healthy behaviors for our children. The slogan and logo for the 123 Go Play AC campaign were chosen to encourage parents to follow the suggested nutrition and physical activity guidelines for their children: 1 hour of screen time a day (computer, television, etc. 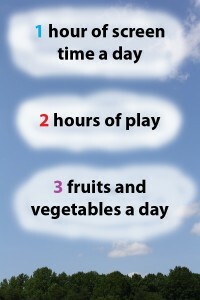 ), 2 hours of play, and 3 fruits and vegetables a day. The Alexander County Physical Activity and Nutrition Coalition group is responsible for the implementation of the Shape NC grant and the 123 Go Play AC campaign. The coalition’s stakeholders are a dedicated group of individuals from agencies, businesses and organizations from Alexander and surrounding counties who are committed to the health and fitness of Alexander County children. 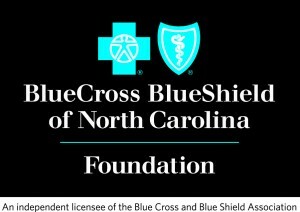 For more information about the Shape NC grant, please visit the Blue Cross and Blue Shield of North Carolina Foundation website.